we offer bespoke glass and stainless architectural installations in Cheshire and the UK. The practice today consists of 5 branches covering South Cheshire and North Staffordshire. 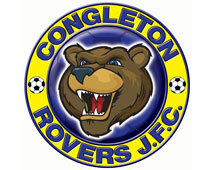 Congleton Rovers Football Club is holding its annual Football Festival. The event is being held at our facility at Congleton High School 29th & 30th June 2019. The tournament will be affiliated with the Cheshire Football Association and matches will be refereed by FA qualified Referees. We are running game formats that either match current formats or in some cases, are the next year’s format for teams in transition. The tournament structure aims to maximise the playing time within the limits set by the FA. The U7 and U8 tournaments will be held in accordance with FA rules and will be non-competitive. All players will receive a medal and a trophy will be awarded for the team considered to be the most sporting, skilful and fair.